Perhaps the perfect gift. 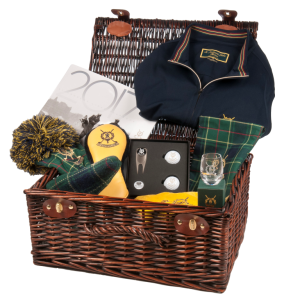 Our hampers are filled to bursting with St Andrews Links clothing, golf accessories and goodies sure to satisfy the golfer in your life. A beautiful memento to perhaps remind a special someone of their time here at the Home of Golf. 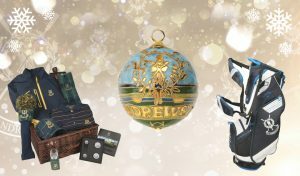 It’s a beautifully crafted accessory fit for Christmas decoration or to have on show year round. Is someone on your gift list forever saying they need a golf lesson, but done nothing about it? 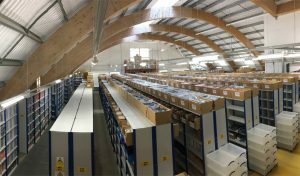 We have a range of voucher types available to choose from. No more excuses with this gift! 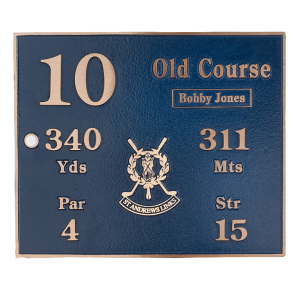 Take home an exact replica of the official tee plaques as seen on the world-famous Old Course. All 18 holes available. 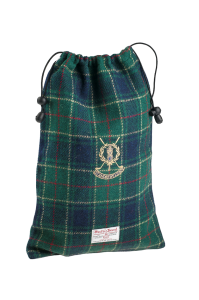 Handmade in Scotland from authentic Harris Tweed, our St Andrews Links branded shoe bag is of generous size with drawstring closure and lined with ripstop waterproof nylon. A present to show off in the locker room when the golfing season begins again! 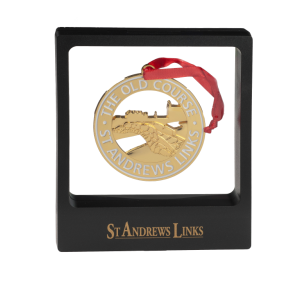 A perfect stocking filler for someone who has been to St Andrews Links, planning on coming or would simply appreciate a souvenir from the Home of Golf. 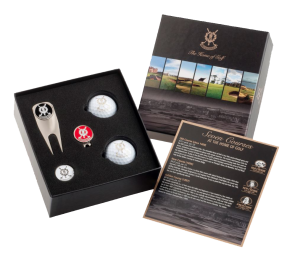 It contains a divot tool with detachable, magnetic ball marker, two Callaway golf balls, a flat marker and a cap clip. 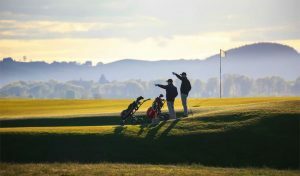 There’s some interesting course facts in there too! 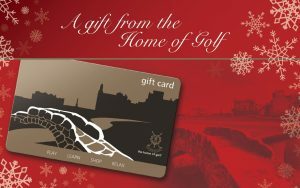 Buying Christmas presents can be a bit of a headache, but if in doubt a gift card is always a winner. 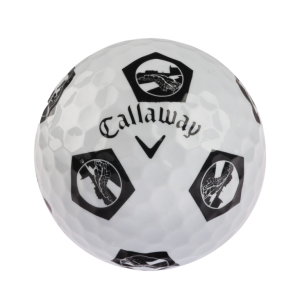 The golfer in your life will have no problem identifying their ball on the golf course with our unique Swilcan Bridge branded Trus Vis Chrome Soft golf ball. Importantly, it also offers high ball speeds and optimal spin rates to maximise performance through the bag. 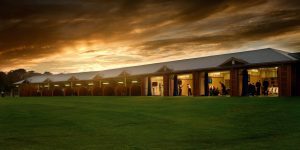 St Andrews Links is home to some of golf’s most iconic landmarks and views. This print of the 17th on the Old Course (Road Hole) looking up towards the 1st and 18th holes beautifully captures one such view. 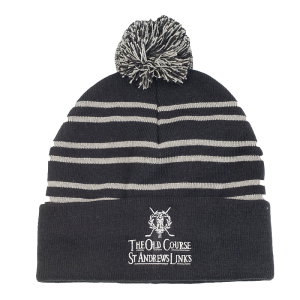 Given it’s coming up for Christmas, you can never go wrong giving a woolly winter hat when Jack Frost is about! 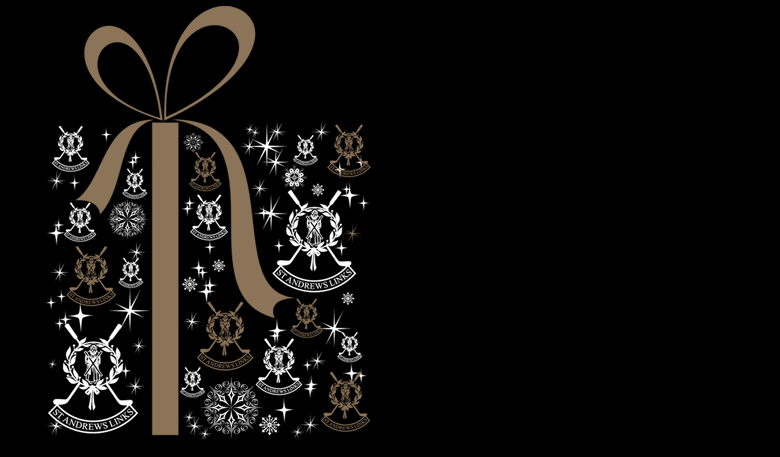 For a range of other great Christmas gift ideas, visit our online shop here.